Posted by Mrs Weird Scientist in Animals, Brain Power, Insects, Think About It. If they’re a male black widow spider, that is. Simply by taking a little saunter across the female’s web, a male black widow can sense if a female is hungry or not. Why does it matter? Because female black widow spiders have a rather freaky habit of eating the male after mating. It’s how they earned their dangerous name. Now that’s one massive female black widow spider. You would almost think she’s been doing some seriously heavy weights at the gym. But nope, females are normally much bigger than males. Those males best watch out! Males have developed this very useful technique, which tells them whether or not a female has recently eaten. But if a female is hungry, she would be more likely to cannibalize the male spider. They take a sniff of those silk strands and then decide if they want to proceed or scurry away. A new study discovered this interesting skill and published the findings in the journal Animal Behaviour. So, how do researchers actually go about testing something like this? First things first. The researchers fed a bunch of hungry female back widow spiders. Using a cricket neatly held between forceps, they rested it on the web and waited for the female to come over, wrap the cricket in silk and chow down. The females got one cricket each week. Yet, by the time the fourth week came around, they weren’t so hungry anymore and didn’t really want to eat the crickets. Another bunch of female black widow spiders were starved for a few weeks. It apparently didn’t put their lives at risk, but they did get a bit smaller. Now, let’s find out what happened when a male was placed on the web of a well fed or a starved spider. Since the male spiders can pick up scents with their feet, they were able to figure out the difference from one female to another just by walking on the web. 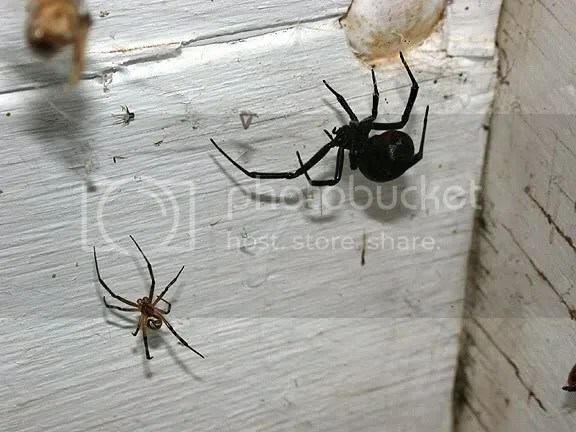 Normally, a male black widow spider has a special dance he does to court the female. In this experiment, the males danced far more actively on the webs of well fed females. Smart dudes! If anything, dancing and mating would leave them ready to eat – not be eaten! Typically, they dance around for an hour or two, which sure shows their dedication to the purpose. They wave their legs and pluck and tap at the web in a unique way, so that unlike prey they show the female they are interested to mate rather than become dinner. 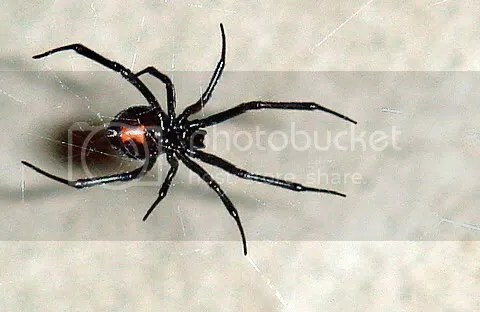 Now I have a strong sense of smell but definitely nothing like these male black widow spiders. It’s too bad because I’m really scared of spiders even though I know most are harmless. If I had my way, I’d be able to simply smell any spider from several meters away. That would give my timid self enough time to run! Its a very interesting trait and a very useful trick. Just think one day you are having kids and the next your wife tries to eat you! I was very happy to read this new article because it have been a long while since i last read a new one . One again great article and keep up the good work . (P.S.) I love your site and i was wondering if you could tell me how to start a site like this or how you came to start yours. Hi and thanks again for the lovely comments, Mister Science. Starting a site like this is actually easier than you probably think! If you go to http://www.wordpress.com you can register and start a blog for free. Keep me posted on whether you get one started. As for how I came to start mine, this page here might tell you a bit more: https://weirdscience.ca/weird-science/creator. Hey, Mrs Weird Scientist I have made My own blog and If you would like to take a look at it the url is worldnewforkids.wordpress.com. Congratulations Dylan! That’s fantastic. I will definitely go and check it out. Hey I have just recently made my new book review blog please check it out and tell me what you think. it is at worldnewforkids.wordpress.com. And im having a problem with getting looks at my blog so i was just wondering if you could mention my site in your book review section.. thank you for your inspirations, Olson. That’s hilarious.. and also really scary. I once knew a girl that ate spiders – secretly! I know you’re probably really scared of spiders, but they actually do a lot of good. They kill insects like mosquitoes and fleas, which are actually a health hazard. These insects can cause real diseases while spiders don’t attack humans. They keep your house clean, in a way. Of course they also breed. Carey, thanks so much for the kind comments. I love hearing that people are interested in science. I will be sure to check out your blog as well! your feed and I’m hoping you write more soon!